When I think back on my elementary school years, many of my most vivid memories are tied to the time I spent on the playground during recess. As a kid, I enjoyed my lessons but always looked forward to recess and time to play outside. I absolutely loved spending time running around and playing imaginative games with my friends, and I think now that if an ounce of that time was taken away from me, I would have revolted. 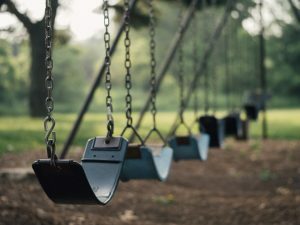 Although time outside is just as important to many modern students as it was to me fifteen years ago, schools today don’t seem to share the same passion for recess. The reason for this decrease in recess over the years differs from school to school, but research suggests that the trend can be traced back to the late eighties and that it was accelerated under the No Child Left Behind Act, since schools felt pressured to show academic progress. In an effort to do this, recess was cut and replaced with more time spent in the classroom. The problem with this mentality is that replacing time on the playground with time in the classroom doesn’t guarantee academic success among students. A study that was conducted in 2009 found that kids were better behaved when they were given at least one recess period of fifteen minutes or longer per day, as they were able to take unstructured social breaks during that time. If students are able to behave in class, then they are able to pay better attention and grasp more concepts as a result. Other studies relate a student’s ability to absorb more information to how much exercise they get. For many students, recess is the most active time of the school day, and there is research that shows that physical exercise is also tied to academic performance. Students who were more active got better scores on standardized academic tests, were more focused, and had faster cognitive processing speeds. Many students spend their unstructured time during recess running around and playing games, and this time spent exercising has shown greater academic benefits than more time spent in the classroom. In addition to improved academic performance, students also gain social and emotional benefits from having recess. Time on the playground presents students with situations that develop important communication skills such as cooperation, problem solving, negotiation, and compromise. Although there are classroom activities that can help develop these communication skills for students, recess is the one time a day when students go outside and are able to choose what they do. It is important for children, and in fact for all of us as human beings, to take breaks and do things when someone else isn’t telling us what to do. Recess is a time I will always remember fondly as an adult, and I’m sure I’m not the only one. When we let children enjoy physical exercise and time outside, we allow for improved mental exercise in the classroom. The benefits of recess certainly justify its continued existence, and should even encourage more schools to increase daily time outside for students. Zach Halpern has been great with my son, they seemed to work really well together and got through the material at a good pace. Zach seems like a great young man and like I said he worked so well with my son. I feel so much better about the test having used your service.